US Army hearings on the pre-trial detention of accused whistleblower Bradley Manning concluded on Tuesday, with closing arguments by both the defense and prosecution. The 24-year-old Army private has been imprisoned for 928 days without trial. Manning was arrested May 26, 2010, accused of the largest leak of classified military and government documents in history while working as an intelligence analyst in Iraq. Hundreds of thousands of files, many documenting US war crimes, were published by whistleblower organization WikiLeaks. The latest series of hearings at Fort Meade, Maryland have spanned ten days. Along with military psychiatrists and prison guards and officials, Private Manning himself took the stand to testify on his prolonged solitary confinement at the Quantico Marine brig in Virginia. Manning’s lawyer, David Coombs, has argued that Quantico officers, acting at the behest of the Obama administration, held the young soldier in abusive conditions under the pretense of protecting him from self-harm, while disregarding psychiatric recommendations that Manning be treated less harshly. In closing comments Tuesday, Coombs reiterated the argument. The defense has asserted that the mistreatment, widely condemned as torture, constitutes unlawful pre-trial punishment and pressed to have charges dismissed. The defense has also proposed that Manning’s sentence be reduced by counting each of the 258 days he spent in solitary confinement as 10 days served. “What happened here… is a complete breakdown in the way the system should work,” Coombs stated. Pointing to Manning’s alert bearing during the hearings, Coombs added, “The fact that PFC Manning’s spirit wasn’t broken is actually kind of amazing.” His composure, despite the inhumane treatment he received, undermined the government’s claim that Manning was mentally unstable. On Tuesday, Coombs stated that some of the military officials committed perjury. When military judge Colonel Denise Lind asked the defense attorney to explain himself and Coombs cited specific testimony, Lind reportedly nodded in agreement. Manning faces 22 counts under the Espionage Act, including one count of “aiding the enemy.” He faces life in military prison if convicted. The outcome of the case will bear heavily on the government’s future prosecution of whistleblowers and its treatment of media and individuals that publish leaked material. WikiLeaks and its founder, Julian Assange, are the most immediate targets beyond Manning. The government has been unable to substantiate its claims that publication of the leaked documents resulted in aiding Al Qaeda or other declared enemies of the US or resulted in American military casualties. Lind is not expected to issue a ruling this week and may not announce her decision on sentencing until the next hearing. The full court martial trial has been rescheduled from February to March. Testimony over the past few days has yielded further evidence that the military was persecuting Manning. Although psychiatrists reported repeatedly that he exhibited mental soundness and proposed he be removed from so-called “prevention of injury” watch, a panel of three Quantico officers overruled their assessments. The panel met in a “classification and assignment board” on a monthly basis, ostensibly to review the medical reports. Testimony revealed that the officers filled the form out in advance of the meetings. Barnes was the officer who personally ordered that Manning be stripped naked every night, after Manning made a statement in protest at the absurdity of “prevention of injury” watch. 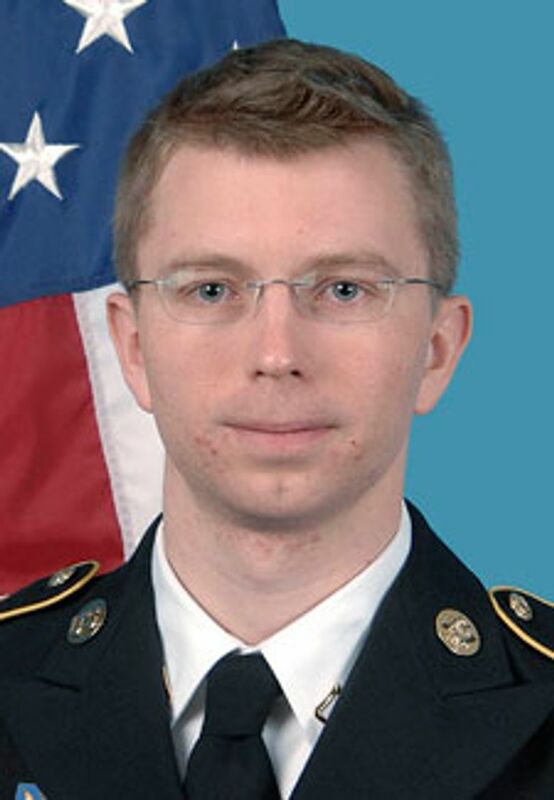 Denied such necessities as toilet paper, a pillow and blanket, Manning said that if he were really suicidal, he could attempt to take his life with the elastic of his underwear. Revealingly, Barnes testified that after she ordered Manning’s forced nakedness, she was told that any future changes in his treatment would need approval from a three-star general. The micro-management of Manning’s conditions by military brass came in response to the widespread condemnations over the abuse and expresses the direct concerns of the Pentagon and the White House that the case not feed into public outrage. Judge Lind questioned Barnes on the order to remove Manning’s underwear. Did other military prisons make similar decisions for detainees on prevention of injury order? Were other detainees subjected to forced nakedness? Barnes responded that she could not recall. Coombs asked Barnes whether Manning was held in his cell for 23 hours a day. According to Kevin Gosztola, a Firedoglake reporter who was present in the court, Barnes responded with hostility to the defense attorney: “She said ‘no.’ He wondered then how many hours? She then expressed frustration that she was being forced to say whether it was really 22.5 hours or not because she did not know. On Monday, Army Captain Joseph Casamatta, a company commander in Manning’s chain of command, testified about his regular visits to Quantico. He told the court that in his ten visits to the brig, he was never told that mental health officers had recommended Manning be taken off prevention of injury status. Casamatta said their visits took place in a divided booth. Manning was escorted to the booth and left in shackles.